On 25 November 2014, Volkswagen launched an innovative web chat to accompany their advertising campaign for electronic cars. The campaign was created by the DDB agency in Berlin and uses the original actors from Star Trek! 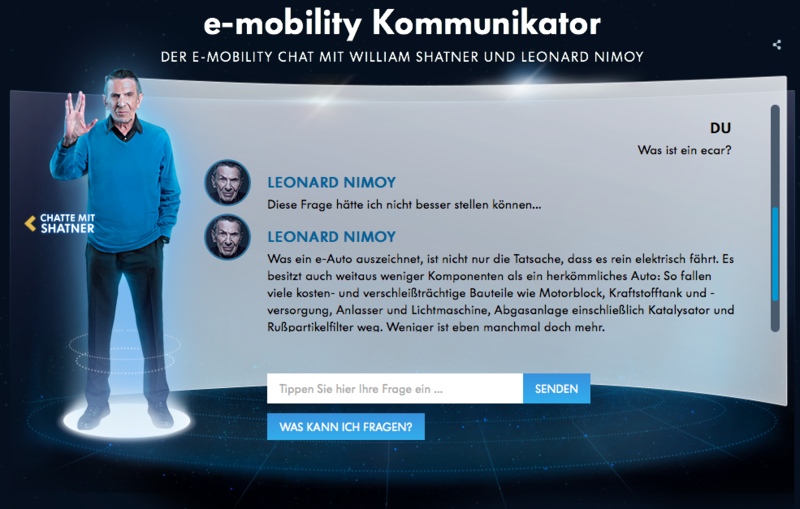 William Shatner and Leonard Nimoy, dressed as Captain Kirk and Spock, front the campaign and answer questions about e-cars on the website. Except it’s actually Cleverscript that does the answering, using a complex German script developed by DDB with our help. The script includes multi-part answers, leading questions, follow-ups and reminders, all managed with variables. It communicates with the browser via JSON. 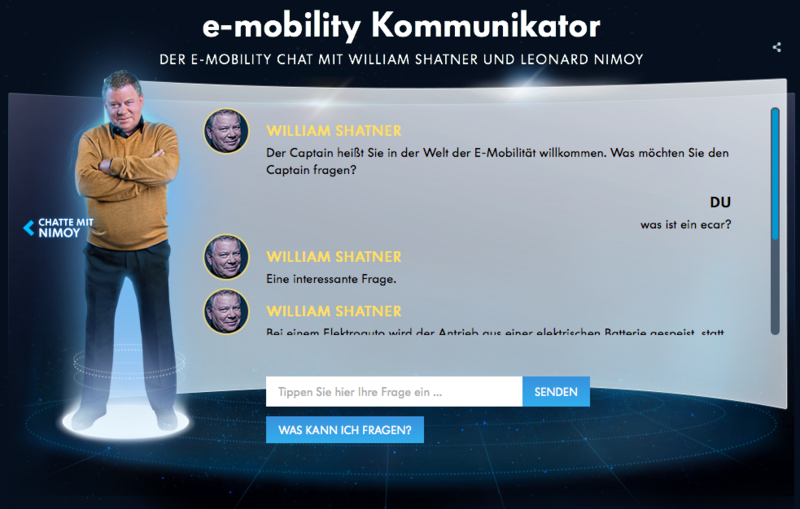 Unfortunately the Star Trek chat is only available in Germany. So if you are in Germany please visit emobility.volkswagen.de/de/de/private/vwfuture.